And so it came to pass that I found myself at trial. Not just any trial. This was eminent domain, the government’s, or any condemning authority’s, right to take our property if it can demonstrate the taking serves the most good for the most people. The authority retains experts to assess the value of what shall be taken to ensure that the offer is just compensation in the marketplace. Article 5, the Bill of Rights. Of course, one side’s opinion of just compensation differs from the other side’s idea of just compensation. And that is where the rubber meets the road, and where the mischief begins in many situations. In this matter, I was retained by the property owner’s attorney. At issue was the value of pecan trees in a grove located in the deep South. These were not just any pecan trees. No siree. These pecan trees were the pride of the South, and the joy of one Mrs. Stanford. Yep. The Mrs. Stanford. Best of Show pecan pie for the last 10 years running at the state fair. No one made a better pecan pie than the celebrated Mrs. Stanford. There were those who attempted to make a better pie; however, nobody ever produced the product that judges at the state fair declared better than Mrs. Stanford’s. The moment I drove onto the pecan grove I knew this matter was going to trial. The pecan grove itself was of the highest order. Very well maintained. The equipment, although old, was in topnotch shape, including the paint job. Inside the barn where the harvest was made ready for the marketplace hung all of the blue ribbons awarded to her singularly delious pecan pies. Pictures of her family working in the grove were posted in prominent view. There was no way Mrs. Stanford would accept any offer made by the government. And I realized this before I even spoke with her. It took me a few days to inventory and analyze the grove. I then returned to my office for the laborious task of valuing the trees and the product by comparable pricing in the marketplace. In front of me was a long drive home. Also in front of me, just prior to my departure, was Mrs. Stanford, holding that which I could only hope she was holding: yes, one of her celebrated pecan pies for me to take home. Admittedly, I did not get past the first convenience store without procuring a spoon to dispatch in short order Mrs. Stanford’s delicious product. The pie was amazing. Never before and never since have I eaten a pecan pie of that singular quality and taste. Two years passed, and I found myself sitting in the courtroom. As if announced by Gabriel himself, sounding his finest horn, the man who was to cross-examine me at trial entered. I had never seen anything quite like this gentleman, from his two-tone, brown-and-white fine-leather shoes, to his three-piece seersucker suit, adorned by a matching bowtie and topped with a straw hat. A southern gentleman’s straw hat, may I add. My direct examination having been concluded, the attorney in the three-piece seersucker suit stood and asked permission from the judge to approach me. That request having been granted, he strolled with the air of total confidence and assurance that I was about to be reduced to rubble. Experts can pretty much tell at the onset of cross-examining questions just exactly how strong their opinion is. When a cross-examining attorney immediately sets out to assassinate my character in front of the jury, I know that I have made a very good case based upon my research, marketplace activity, and resultant opinions. Questions came regarding my net worth. Questions regarding how much I charge an hour. Questions regarding at what brand name hotel did I spend the night before trial. Receipts from that hotel displaying for all to see if I consumed alcohol the night before trial. What did I eat? How much did the meal cost? All of these questions are meant to sway the jury to believe that I am a hired gun. The tactic seldom, if ever, works. Juries are not stupid. On the contrary, they are very smart and quite intuitive. The matter for which they find themselves sitting in a jury box, away from their families and jobs, has nothing to do with how much I make an hour or what my net worth is. Nonetheless, many attorneys still use this approach to discredit the expert, rather than attacking that which is defensible, his or her opinions. The southern gentleman pivots on his heel and, looking at the jury straight in their eyes, and asks me if I am a friend of Mrs. Stanford’s. This question hopefully discredits me as being an advocate for Mrs. Stanford. Of course I am not a friend of Mrs. Stanford’s. Whatever would have given you that idea? Well, did I know that Mrs. Stanford’s pecan pies won blue ribbons at the state fair 10 years running? Yes, I knew that, but it had nothing to do with my opinion of value. He folds his arm and looks the jury straight in their eyes. 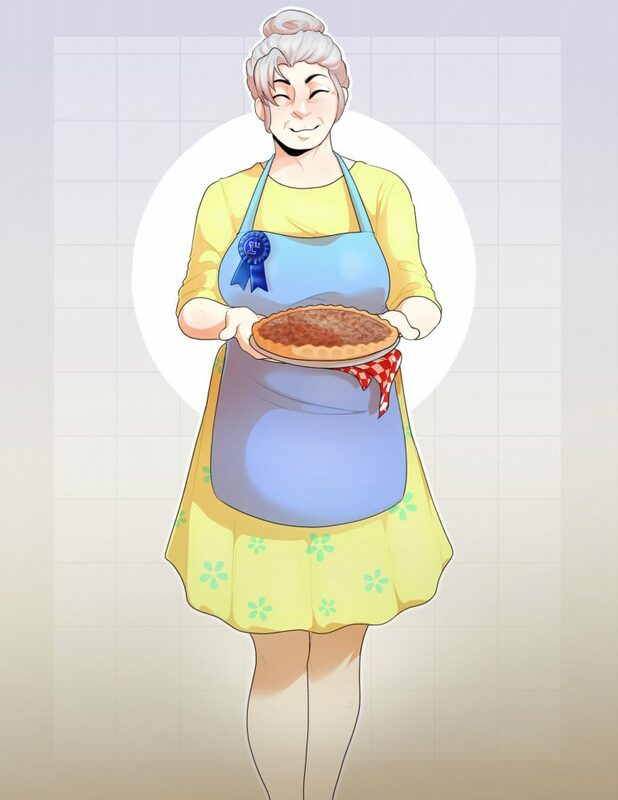 It seems that a whole lot of people wish they had one of Mrs. Stanford’s blue-ribbon pecan pies. Folks who live locally. Folks who see Mrs. Stanford shopping at the Piggly Wiggly every week. And here is an old Florida boy who receives from Mrs. Stanford that which many have coveted? Perfect. Just where I hoped I would be found one day at trial! Well, three days later the jury returned a verdict whose amount matched my opinion of value. I must confess it was a long three days for me and my thoughts. And while I may never fully understand the meaning of a pecan pie, I certainly look at them now differently than I ever did before I met Mrs. Stanford. And every time I see a pecan pie, my thoughts go to a brilliant attorney, dressed as though from a novel steeped in the deep South, and how close he came to dispatching me and my opinion of value in front of that jury in a courtroom located in the deep South. I went by Mrs. Stanford’s grove a few months ago on the way to another assignment. I stopped in to say hello and pay my respects to her and her family. She and I both laughed while reminiscing about the events at her trial. Saying my goodbyes, I got into my vehicle and proceeded on to my next assignment. It being a summer day, my windows were up and my air conditioning was at full blast. It suddenly became apparent that some mischief was at hand – the aroma of a fresh-baked pecan pie arrested my senses. And, sure enough, in the backseat of my truck, lying on the floor, covered in a red-and-white checkerboard cloth, was one of Mrs. Stanford’s award-winning blue-ribbon pecan pies. As I stopped at the nearest convenience store for some eating utensils, my mind drifted to the gentleman in the three-piece seersucker suit. I could not help but wonder if he had ever tasted one of Mrs. Stanford’s pecan pies. But then again, pecan pies do not go well when served up with crow. Great story–I’ve never been grilled that personally! Thanks for setting a fine example for consulting arborists.